Whether you’re new to yoga or an advanced practitioner, chances are, you have probably seen or used yoga blocks at one point or another. Blocks come in all shapes and sizes and are meant to either assist or support you during your practice. They help you to find proper alignment even when you might not be feeling extremely flexible. Eventually, you can even use blocks to help you open and move deeper into certain poses. Though there are many types of blocks out there, we took the time to create a beginner’s guide to yoga blocks, complete with a review of the best yoga blocks on the market to date. What is The Best Yoga Block For You? As mentioned above, blocks come in many shapes and sizes: some are thinner, taller, shorter, or rounded. However, the most common blocks are made of foam, cork, or wood, and are rectangular in shape. Most rectangular blocks are 3”x6”x9” or 4”x6”x9”. When looking for a block, it is best to consider your hand size, the weight of the block, your own flexibility level (if you are less flexible, a taller block might be in order), and your familiarity with the yoga postures. The material each block is made of is also of extreme importance. The most common types of blocks are listed below. Foam blocks are the most typical. You will find these blocks at almost any yoga studio because they are wonderful for practitioners of all levels. They are very lightweight (usually between 3-12 ounces) and have a lot of give to them, so they are comfortable to place along the spine for heart openers or to use when your hand or forehead just can’t seem to reach the floor. The only disadvantage to foam blocks is that they are subject to the most wear and tear: the soft material can easily become scratched, warped, or broken. *Disclaimer: if you have pets, keep your foam blocks out of their way (especially cats!). They view these blocks as wonderful toys and claw sharpeners! These blocks are also pretty common, as many yoga studios carry them as well. Cork blocks are harder and slightly more durable than foam blocks, so they provide stability and support. 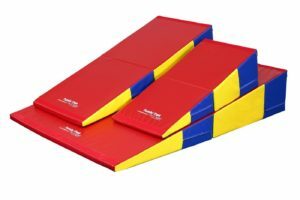 Although there is still some give to them, they are not as comfortable as foam blocks and may cause soreness if placed incorrectly. Cork blocks are also heavier than foam blocks (they usually weigh between 1-2 pounds); this means they can support more body weight. They are a wonderful tool to use for restorative yoga when one’s body may be fully supported by the block. These blocks may be better suited for intermediate practitioners who are familiar with block placement and yoga postures. Wood blocks are very traditional, however, they are not as commonly seen as foam or cork. This may be due to the fact that they are the most expensive, the least comfortable, and the heaviest type of block. Wood blocks provide a solid surface; they are not very pliable and they may be uncomfortable for some people. They usually weigh between 1.5-2.5 pounds and are extremely durable, so they last for a long time. One major disadvantage to using wood blocks is that they do not absorb sweat, and may become slippery during your practice. That being said, they are also wonderful for reclining restorative poses, and for those postures where it may be difficult to reach the floor with your hands, such as trikonasana (triangle pose). 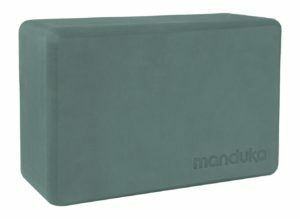 The Recycled Foam Block by Manduka (Amazon link) is one of the best on the market. The block is very dense, yet still lightweight, making it the perfect block for traveling. 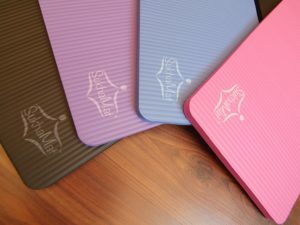 The Manduka block also provides more stability and support than any other foam block out there. Its durability ensures that the blocks won’t be destroyed by simple wear and tear. 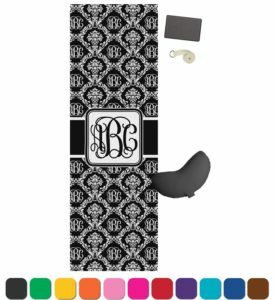 The edges are rounded and smooth for an easy, painless grip, and painless heart openers and/or backbends. These blocks are also aesthetically pleasing; they come in a variety of colors with short motivational phrases inscribed on the side, which is nice for when you need a little encouragement. 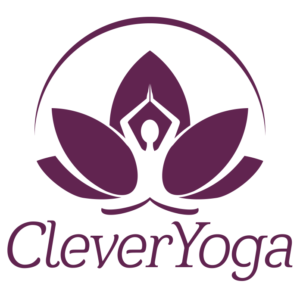 I highly recommend this block for any level practitioner who wants to expand and deepen their yoga practice. 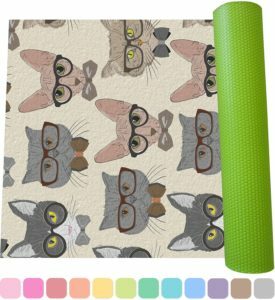 Note: you can buy limited Manduka blocks from Amazon at the link above. However, Manduka sells a couple more designs at their direct website. Go to Manduka’s main site here , and search for “blocks”. 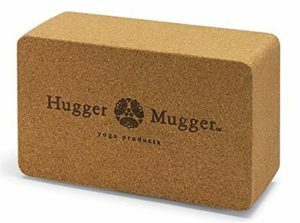 The best cork block is the Hugger Mugger block. Though it is made of cork, it is still very light, and sturdy. 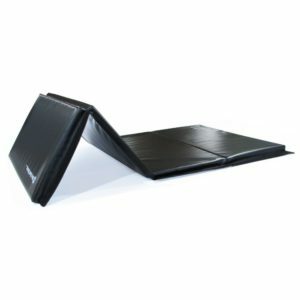 It also has rounded, soft edges, eliminating any potential for extreme pain or soreness. Though this block is still pliable, it is harder than foam, so may be slightly uncomfortable to rest your forehead on or place along the spine. 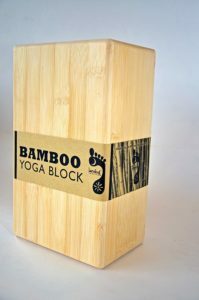 The Barefoot Yoga Eco-Friendly Bamboo block is a hollow wood block that is lightweight and durable. Though it is hollow it feels solid so its weight provides good traction and limited slipping potential. There is absolutely no give to the wood blocks, so it might be slightly uncomfortable in certain postures, especially ones where the forehead may be resting on the block for an extended period of time. This block is sturdy, and will hold up very well for years, even with heavy use. 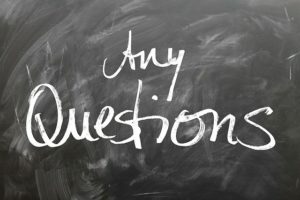 As mentioned above, blocks may be used in two ways: either as an assistant or as a support. When the blocks are being used as an assist, they are literally acting as an extension of the floor. They bring the floor to you. You can place them under your hands in poses like trikonasana (triangle), or under your forehead in child’s pose if your forehead does not make contact with the floor. Depending on your flexibility level, the blocks may be placed standing tall and upright, or on their sides if you are trying to deepen your practice. When you use blocks as a support, they are supporting your body weight, allowing for deeper relaxation and opening. You can place them between the shoulder blades for a heart opener, just above the sacrum for a gentle back bend or you can use them for restorative yoga. In restorative yoga, the blocks are used in conjunction with bolsters and blankets; they are set up in such a way that you can lean back and relax completely, letting them support your full body weight.